We had to wait patiently for her contractor to get started on this project, but once he was able to get in there, the magic happened. 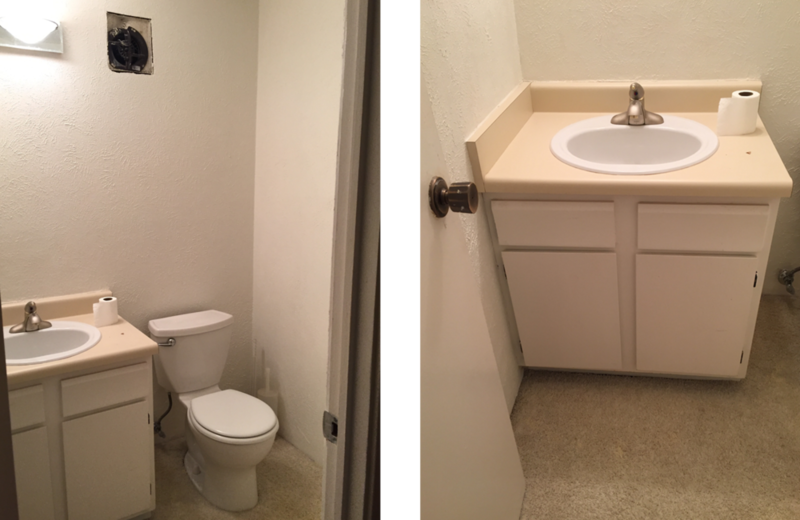 A week later, I was able to come in and put the finishing touches on, and my client had a bathroom that was no longer an eyesore. One other major element of the design was the addition of the board and batten on the walls. Adding interest to the walls is always a bit of an investment, but it never fails to disappoint. It added SO much detail to the room. Seriously… how boring would this room be without it? This was Basil + Tate’s first renovation project, and it left me wanting more! I love bringing out the potential of a space… especially one like this that at first glance seems hopeless. 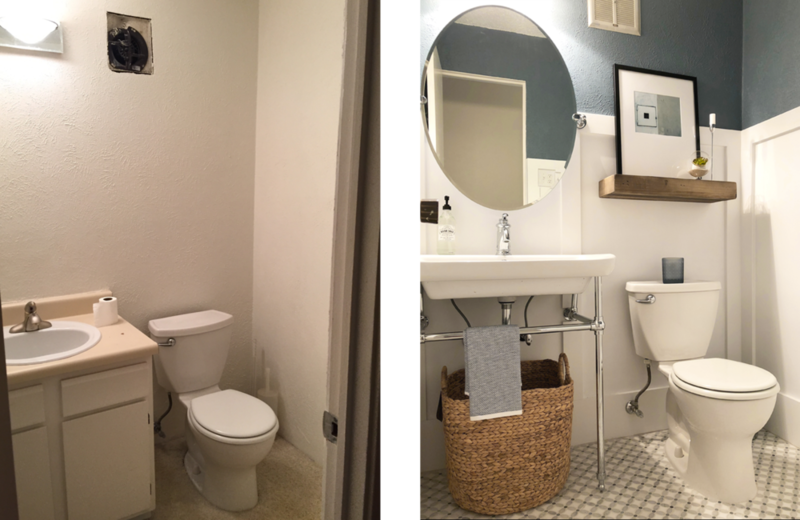 This transformation gave me hope for my own master bathroom that is in desperate need of a makeover. I’m so grateful for incredible clients that give me the opportunity to come into their homes and do what I love to do. I love my job.